LAHORE: Afghanistan-based US predators carried out a record number of 12 deadly missile strikes in the tribal areas of Pakistan in January 2010, of which 10 went wrong and failed to hit their targets, killing 123 innocent Pakistanis. The remaining two successful drone strikes killed three al-Qaeda leaders, wanted by the Americans. The rapid increase in the US drone attacks in the Pakistani tribal areas bordering Afghanistan can be gauged from the fact that only two such strikes were carried out in January 2009, which killed 36 people. 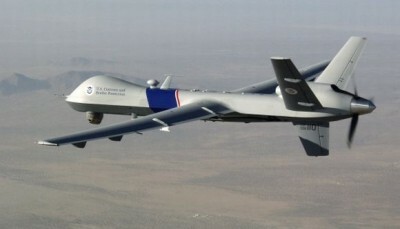 The highest number of drone attacks carried out in a single month in 2009 was six, which were conducted in December last year. But the dawn of the New Year has already seen a dozen such attacks. The unprecedented rise in the predator strikes with the beginning of the year 2010 is being attributed to December 30, 2009 suicide bombing in the Khost area of Afghanistan bordering North Waziristan, which killed seven CIA agents. US officials later identified the bomber as Humam Khalil Abu Mulal al-Balawi, a Jordanian national linked to both al-Qaeda and the Tehrik-e-Taliban Pakistan (TTP). In a subsequent posthumous video tape released by Al-Jazeera, Balawi claimed while sitting next to TTP Chief Commander Hakimullah Mehsud that he would blow himself up in the CIA base to avenge the killing of former TTP chief Baitullah Mehsud in a US drone attack. The consequent increase in US strikes, first in North Waziristan and then South Waziristan, specifically targeting the fugitive TTP chief Hakimullah Mehsud clearly shows that revenge is the major motive for these attacks. The US intelligence sleuths stationed in Afghanistan are convinced the Khost suicide attack was planned in Waziristan with the help of the TTP. Therefore, it is believed Afghanistan-based American drones will continue to hunt the most wanted al-Qaeda and Taliban leaders, especially Hakimullah, with a view to avenge the loss of the seven CIA agents and to raise morale of its forces in Afghanistan. According to the data compiled by the interior ministry, the first US drone strike was conducted on January 1 which struck a vehicle near Ghundikala village in North Waziristan and killed four people. The second attack came on January 3, targeting the Mosakki village in North Waziristan, killing five people. Two separate missile strikes carried out on January 6 killed 35 people in Sanzalai village of North Waziristan. The fifth predator attack was carried out on January 8 in the Tappi village of North Waziristan, killing five people. The sixth attack on January 9 in Ismail Khan village of North Waziristan killed four people, including two al-Qaeda leaders. Mahmoud Mehdi Zeidan, the bodyguard for al-Qaeda leader Sayeed al-Masri, and Jamal Saeed Abdul Rahim, who had been involved in hijacking of Pan Am Flight 73 in 1986, were reportedly killed in this missile strike. The seventh US attack on January 14 in the Pasalkot village of North Waziristan killed 15 people, amidst rumours Hakimullah Mehsud could be among the dead. The eighth drone attack came on January 15 in the Zannini village near Mir Ali in North Waziristan, killing 14 people, including an al-Qaeda-linked terrorist, Abdul Basit Usman, a Filipino wanted by the Americans. The ninth strike was carried out on January 17 in the Shaktoi area of South Waziristan, which killed 23 people. The tenth drone attack came on January 19 when two missiles were fired at a compound and vehicle in Booya village of Datakhel subdivision, 35km west of Miramshah, in North Waziristan, killing eight people. The eleventh strike carried out on January 29 targeting a compound belonging to the Haqqani network in the Muhammad Khel town of North Waziristan, killed six people. The twelfth and the last predator attack of the month came on January 30, killing nine people in the Lend Mohammad Khel area of North Waziristan.